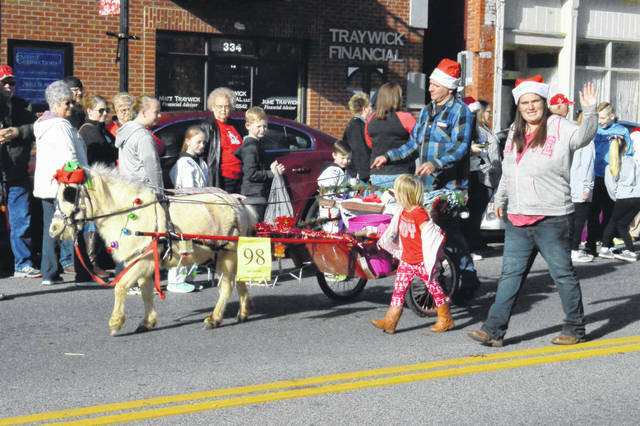 A miniature horse and cart stride by as part of the Gallipolis Christmas Parade festivities. 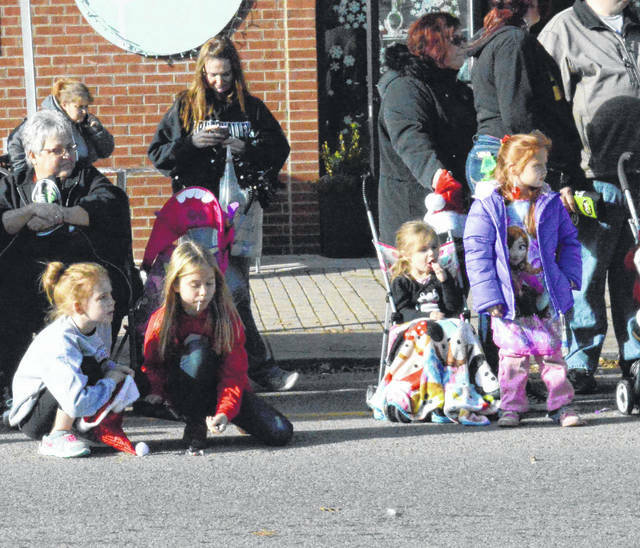 Children snag candy at the opportune moments, keeping a sharp eye out for goodies. 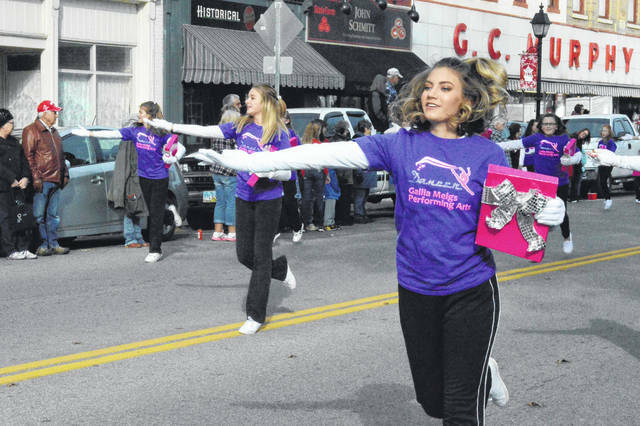 Gallia-Meigs Performing Arts ladies strut their stuff to the beat of the music. 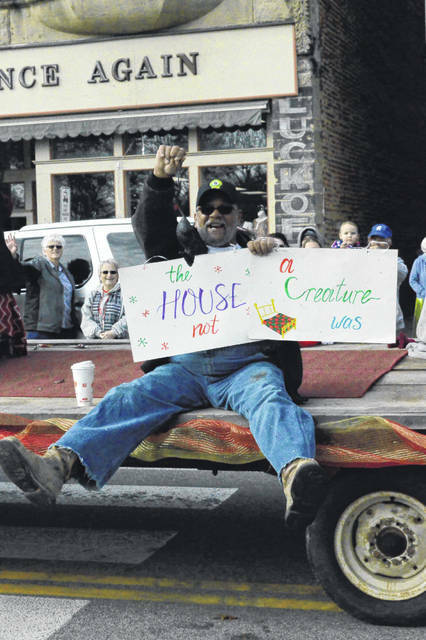 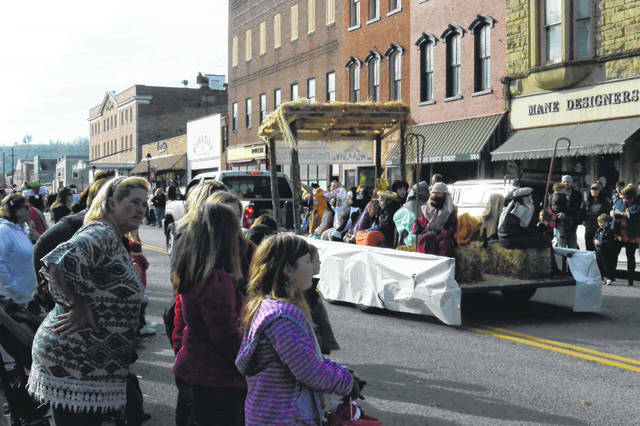 Roughly 100 organizations were part of the Gallipolis Christmas Parade Saturday afternoon. 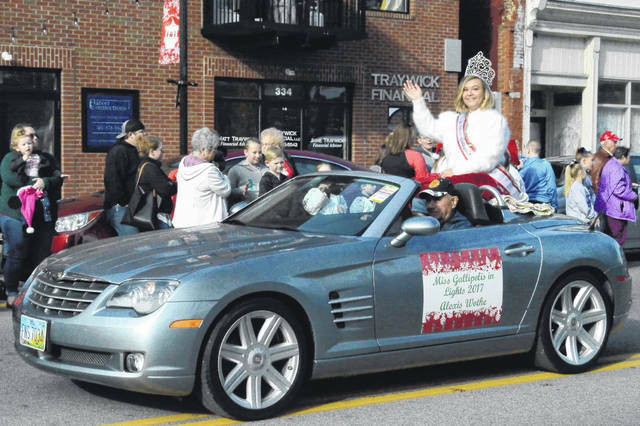 Miss Gallipolis in Lights Alexis Wothe waves to the crowd. 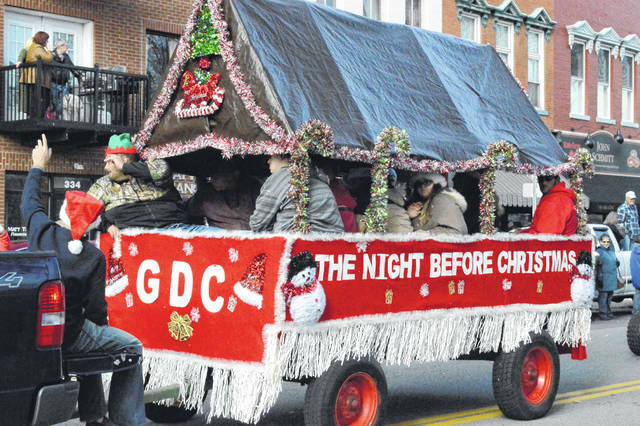 Gallipolis Developmental Center clients take part in the Christmas Parade, showing off their holiday pride. 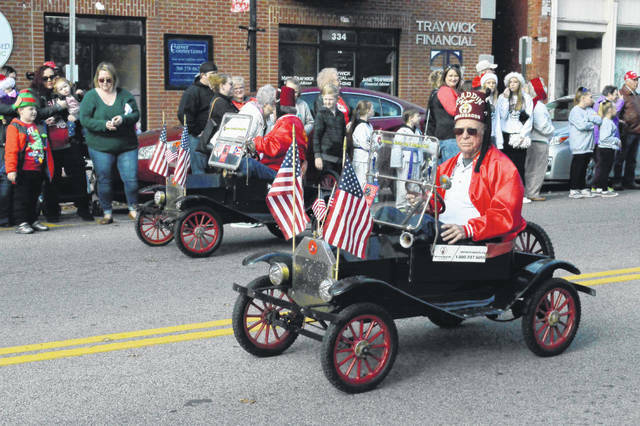 Local Shriners motor by in their miniature cars. 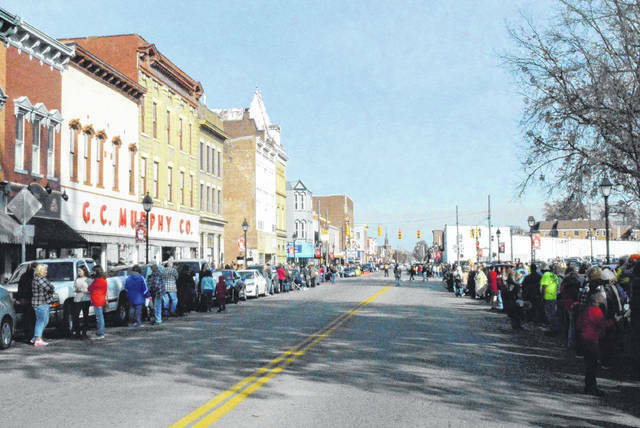 Gallia residents gather for the annual Gallipolis Christmas Parade along Second Avenue. 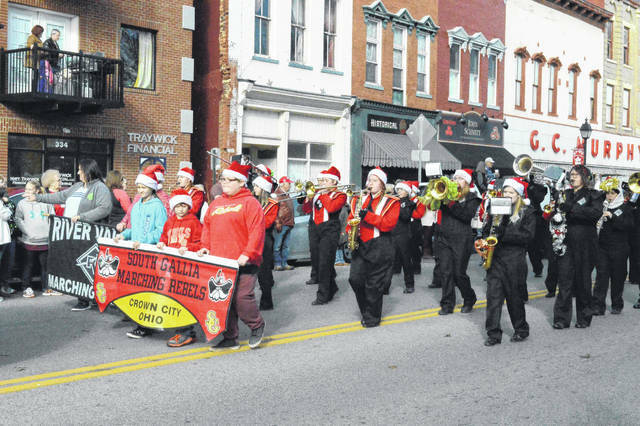 River Valley and South Gallia Marching Bands stride by while playing holiday music. 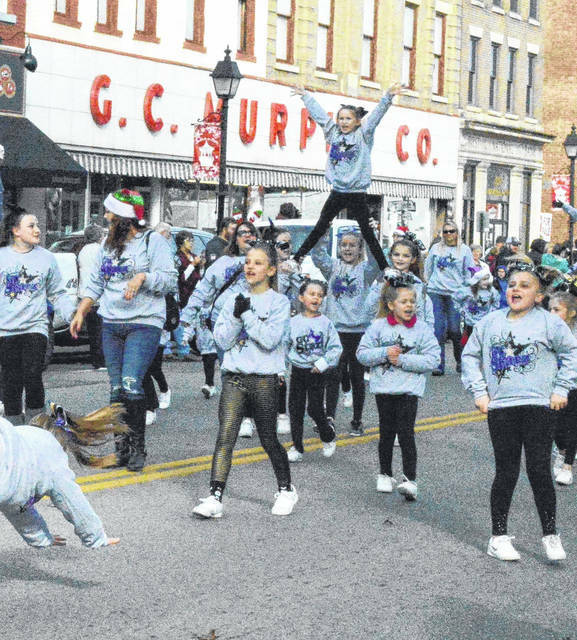 Area cheerleaders flip and cheer their way into the Christmas season. 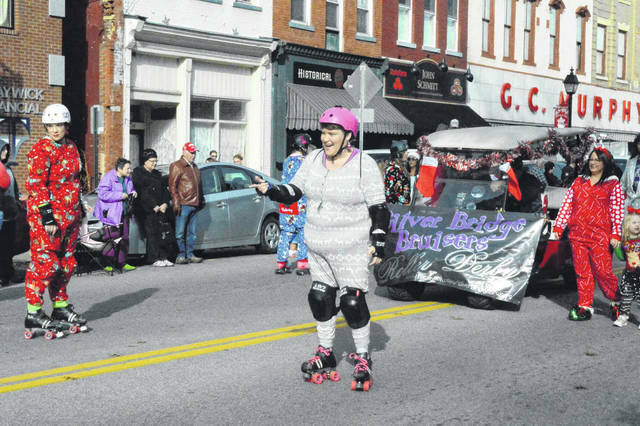 The Silver Bridge Bruisers cruise by as they display their skating skill. 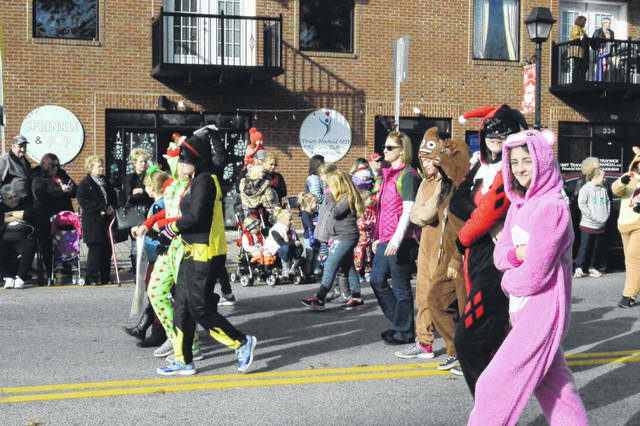 Area Girl Scouts walk by in preparation of another cookie season. 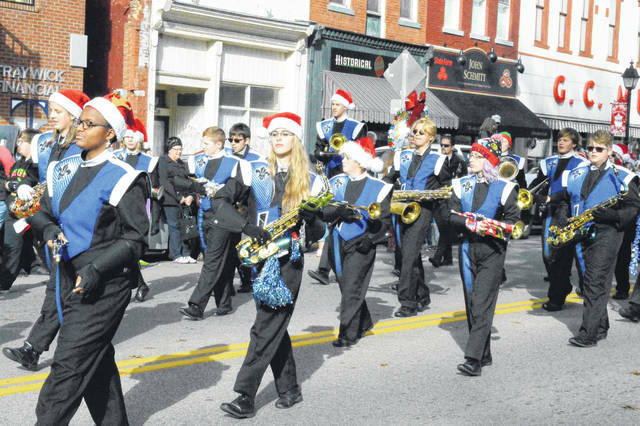 Gallia Academy Marching Band strides by taking a brief break between songs.